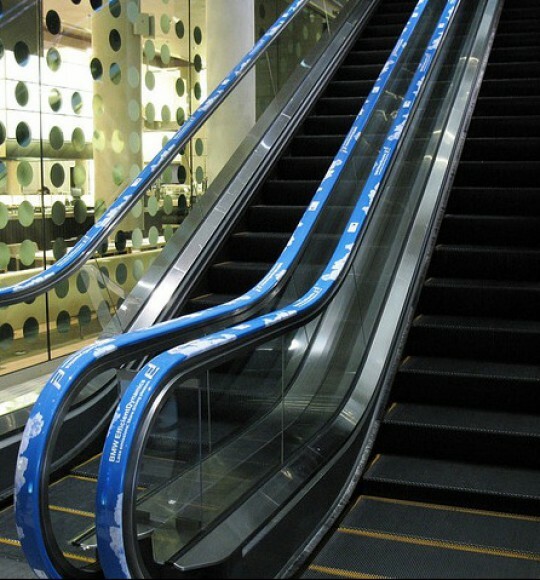 Railalds are highly visible advertising-installations on escalators handrails. Amaze your German audience with this almost completely new medium. In North America and Asia this special form of advertising has been an integral and successful part in media planning for a long time. We now offer this unique advertising medium exclusively in Germany – with patented technology and high contact quality. Railads guarantee great attention and are particularly suitable for long-term and campaign advertising. The ride on an escalator takes approximately 30 seconds on average. While this passive waiting situation people have the necessary rest to deal intensively with advertising messages. 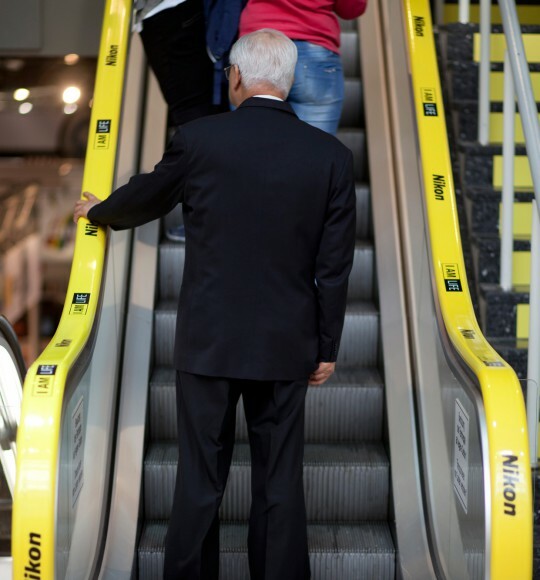 And of course there is no avoiding of the medium while standing on an escalator (no-escape Effect). You can either book an Railad-advertising campaign in our network or if you operate your own escalators hire only the production and installation by our Team. In our advertising network, you can choose between cinemas, shopping centers and airports.